Maria Josefa Gabriela, also known as Gabriela Silang was born on March 19, 1731 in Caniogan, Santa, Ilocos Sur. She was married to Don Tomas Millan a wealthy and known businessman in Ilocos. Shortly, after their marriage, Millan died of old age. Gabriela met Diego Silang, a man of great intelligence, courage and determination who believed and fought towards the independence of the Filipino people. The two wed in 1757 and in 1762, she joined the revolt against the Spaniards alongside Diego. His revolt was successful at first but was derailed by fellow locals, Pedro Becbec and Miguel Vicos, who sided with the Spaniards. Miguel Vicos, along with the hated and dreaded Spanish officials, orchestrated Diego’s assassination on May 28, 1763. 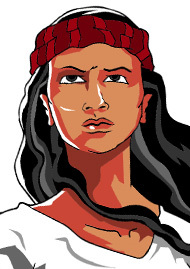 After Diego was assassinated, Gabriela vowed to avenge his death, and to continue the struggle. She was in great affliction, but had no time to lose. The rebels lost hope after the death of their leader. None of the men stepped up to be the new face of the rebellion. So Gabriela did something very heroic, and took her husband’s place as the leader of the rebellion. She greatly armed herself and informed the people that the struggle was far from over. She soon gained more followers. Gabriela began to assist people living in other cities. The people began to call her “Henerala” which meant woman general and were gratified that Diego’s fighting spirit was continued with Gabriela. 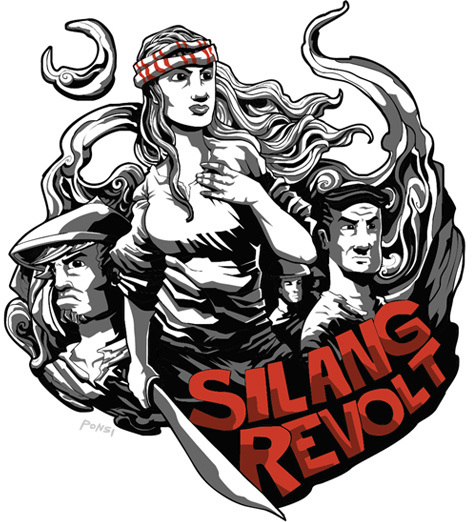 Gabriela Silang successfully led her men through their first battle in her hometown, Santa. After the Spaniards devastating loss against Gabriela, the Spanish were insistent on defeating Gabriela. They had never before felt threatened by a Filipina woman. Gabriela and her men then traveled to Pidigan, Abra to establish a new base. Pidigan was not too far from Santa, but the Spanish could not track down the rebels due to the land’s rocky soil. In Pidigan, Gabriela was reunited with her mother after being parted since her childhood. She was joined by Diego’s uncle, Nicolas Cariño who temporarily took command of the rebel forces gathering 2,000 men loyal to her husband. Gabriela and her troops descended on Vigan on September 10, 1763 then took lead on several attacks against Spanish forces; some won but others lost with many casualties on both sides. When the attacks were over, Gabriela’s forces were overwhelmed and as a result, she was captured later in the mountains of Abra and taken prisoner by Spanish forces led by her husband’s assassin, Miguel Vicos. Some ninety of her lieutenants were caught. One by one, each lieutenant was lined along the coastal towns and paraded in front of the townspeople to gawk. As a result, they were hanged publicly. Due to resistance among the rebels, the Spanish authorities prepared a special kind of death for her. Gabriela was brought to the town plaza one morning and hanged before a curious crowd of Spaniards. The brave Gabriela, then only 32 years old, went calmly and courageously to her death. To this day, the final resting place of Gabriela Silang remains unknown. Her undaunted determination, along with her skill and strength is what the people of the Philippines will never forget, and why she is regarded as the pioneering female Bayani. Today her courageous leadership became a symbol for the importance of women in Filipino society, and their struggle for liberation during colonization.